Homecoming is a time for students, family, and alumni to come together in order to celebrate the university. This year marked the 178th anniversary of Bridgewater State University as an academic institution. BSU held their annual Homecoming Pageant on Thursday, October 11th, in the RCC Ballroom. This is one of the many events that BSU holds during the week of Homecoming, set up by the one and only Program Council. The great thing about this pageant is that it is gender inclusive, and not restricted to females. This year the Homecoming champion was Andrew Rasposo. Meanwhile, the first runner up was Laura Greene and the second runner up being Dominique Durden. 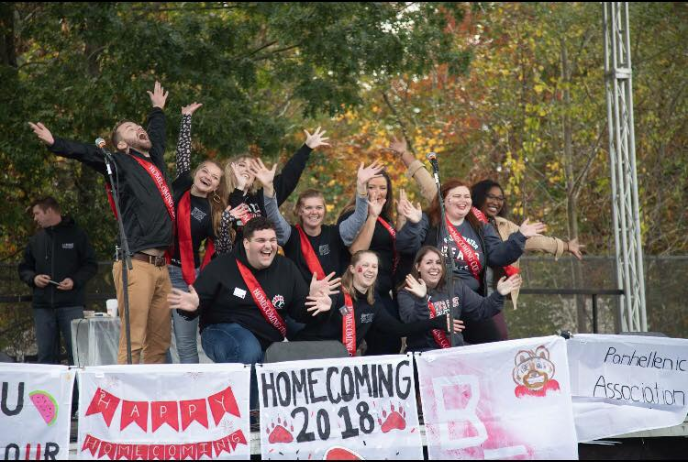 The pageant consisted of 10 seniors who displayed their passion for BSU. The event featured contestants getting to show off their talents. Andrew and Dominique both performed songs showing off their vocal talent, and Laura Greene even performed her own original rap. These are just a few of the talents showcased in the Homecoming Pageant this year. The crowd of students cheered and were very supportive to everyone who participated. This homecoming pageant for BSU showcased seniors who are passionate about our campus as a community and wished to express that through their talents. The seniors shined on stage and left a positive legacy on campus for years to come.